I guess it's no big accomplishment, but I do find it amusing that I could find this one, given the last [URL=http://www.ngs.noaa.gov/cgi-bin/ds_mark.prl?PidBox=RL1597]recovery[/URL]. 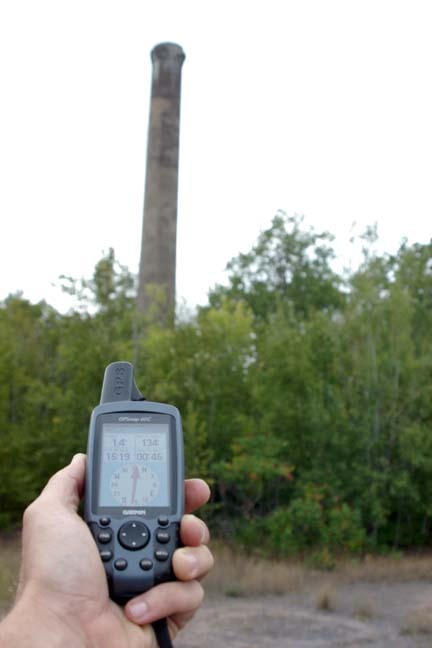 I can understand not being able to find a disk stuck in the woods someplace with bad coordinates and no references left, but how do you miss a 100 foot tall stack? Okay, okay. I guess I shouldn't be so hard on the guy. I had seen the 2004 report, and was on my way to take a couple of photos and send this one off to be destroyed. I approached from the northwest (not via the road from the north, which was blocked,) and wound my way through some mining ruins. My approach was opposite the orientation of the photo, and I actually snuck up on this thing. The tree cover to the northwest is pretty dense, and I didn't see the stack until I emerged into the clearing about 50-60 feet to the west of it. It was a nice hike, and I picked up several nice rocks for my wife to put in her garden. Very interesting site, and a nice view to the east. 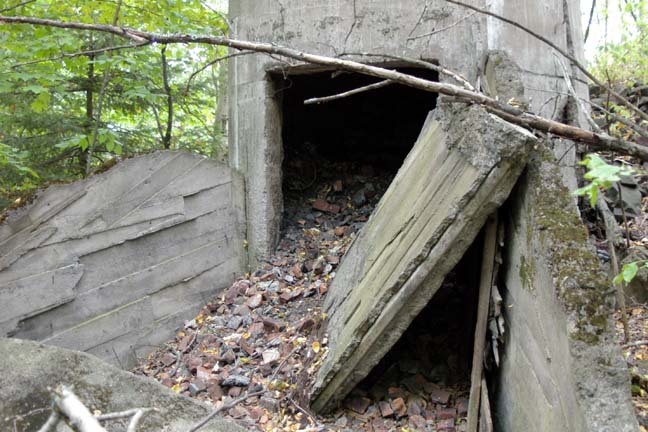 DESCRIBED BY COAST AND GEODETIC SURVEY 1939 (FBQ) ONE AND ONE-HALF MILES WEST OF THE TOWN OF MASS, A CONCRETE STACK APPROXIMATELY 150 FEET HIGH, LOCATED AT THE MASS E SHAFT, ON THE PROPERTY OF THE CALUMET AND HECLA MINING CO. THE CENTER OF THE STACK WAS OBSERVED UPON FROM TRIANGULATION STATIONS GREENLAND, PORI AND KENTON. The horizontal coordinates were established by classical geodetic methods and adjusted by the National Geodetic Survey in February 1997.